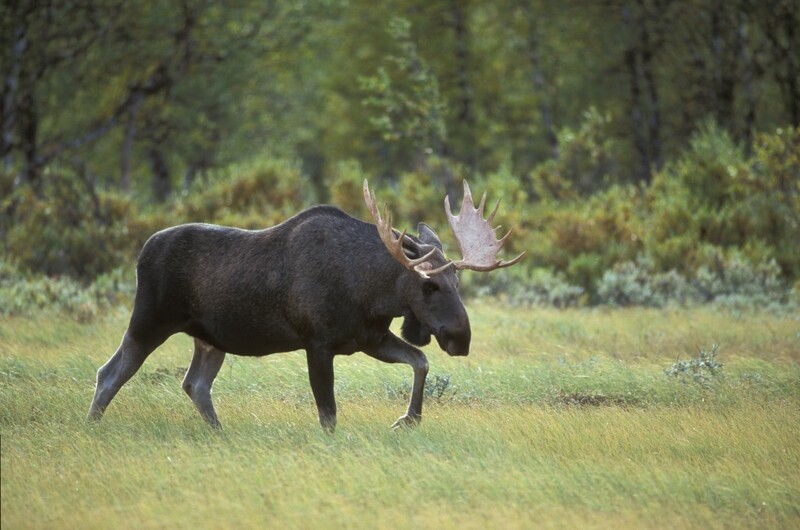 Jämtland – famed among hunters for its magnificent scenery and large bull elk. Being able to creep up on an elk at bay in the hilly forests around Valsjöbyn, or suddenly discovering a stately bull elk with magnificent antlers are privileges enjoyed by a selected few, but which are every elk hunter’s dream… a dream that can come true in our hunting grounds. Elk were hunted on the Myhr family’s hunting grounds in Hotagenfjällen, on the Norwegian border, long before the family moved here over a century ago. Since time immemorial, elk have been one of the most important game animals for the people who have lived here. Old and ingenious systems of pitfalls traps are testimony to a great depth of knowledge about hunting and animal behaviour, knowledge that is necessary for survival.